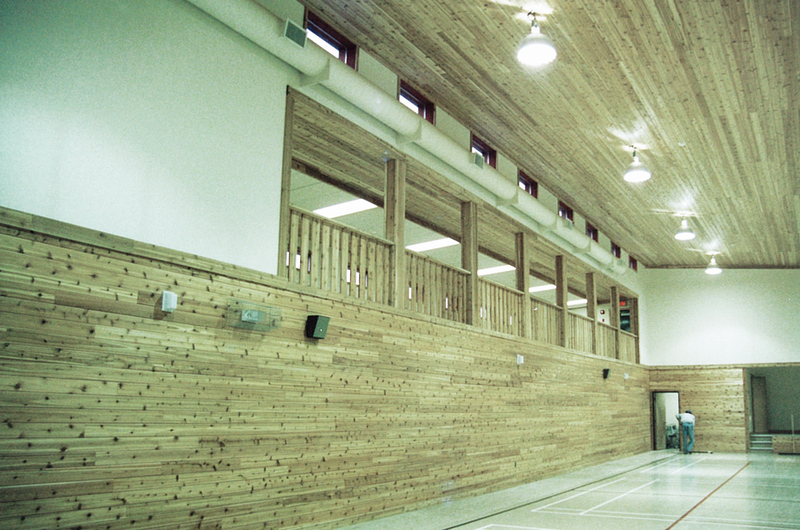 All-wood construction is the building choice for this gymnasium. This building’s attractive exterior with warm brown stonework and an interesting, aesthetically attractive elevation, creates a comfortable feeling for those who enter. 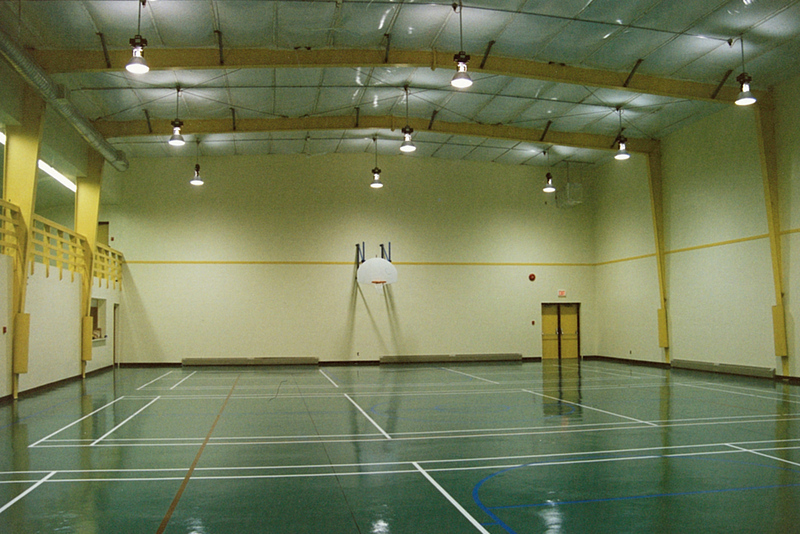 The gymnasium itself is cozy due to warm wood planking which covers the full ceiling and lines the walls to the half-way point. 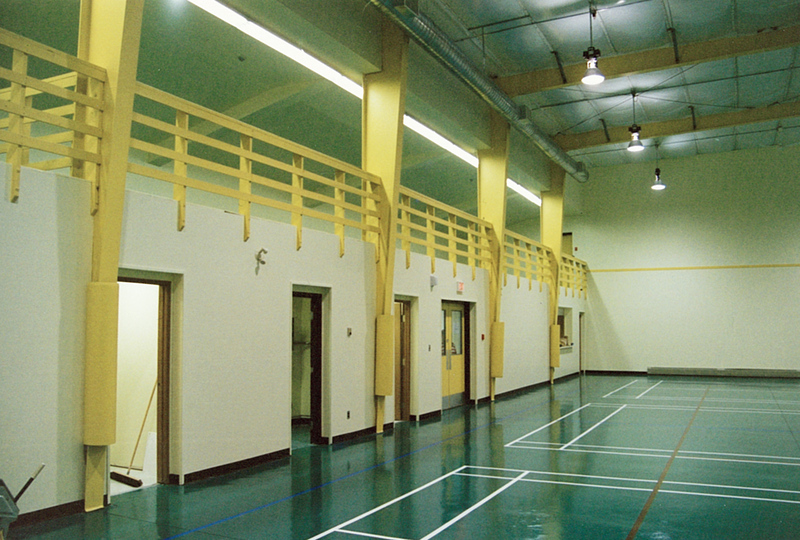 A second floor viewing area is a comfortable area to watch activities taking place on the gymnasium floor. 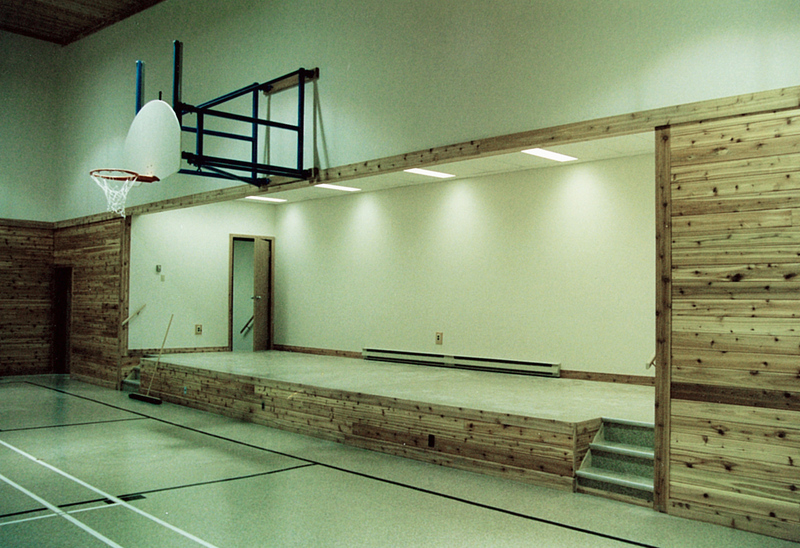 A stage, placed at one end of the gymnasium, is just what this community needs for plays, concerts, and other gatherings.